At one point or another, everyone has tried different ways to store food. Whether it be with aluminum foil, containers or resealable bags, it doesn’t take long to realize that none of those options do a good job of storing food for a long period of time. For this reason, vacuum sealers have become increasingly popular. 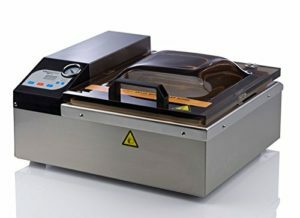 There are two different models of vacuum sealers and each serves their own purpose based on the amount of use planned. 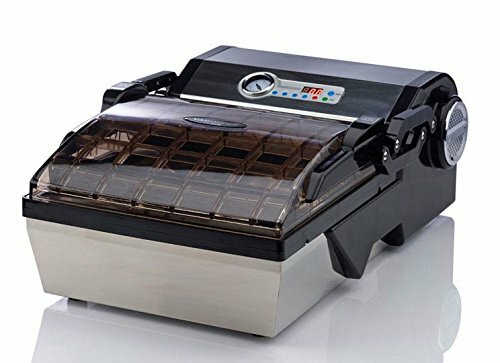 For the purpose of this review, the emphasis will be placed on commercial vacuum sealers, best used for restaurants and farms who may need to use a vacuum sealer often. If you’re looking to buy a commercial vacuum sealer, it’s possible that you’re not really sure where you should start looking. You want to make sure you find the best possible sealer for your needs, but you also want to make sure you’re not going to break the bank. The following guide provides a breakdown of how to choose the best commercial vacuum sealer, along with several product recommendations worth checking out. The VacMaster VP215 Chamber Vacuum Sealer is built for superior performance and is built to handle large loads of food. This sealer features a 1/4 HP rotary oil pump that allows for a quiet experience whenever you use the sealer. 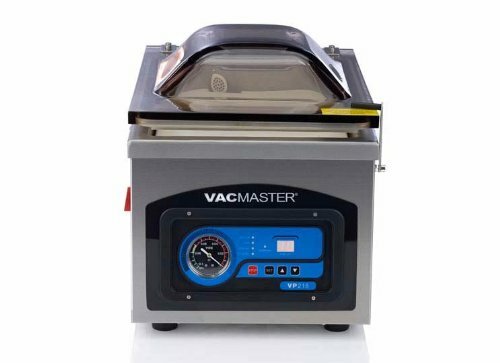 Additionally, because of the rotary oil pump, the VacMaster VP215 Chamber Vacuum Sealer can run continuously without having to take a break in between each sealing. This is an added benefit for those who prefer to get all of their sealing done at once, as you don’t have to wait for the machine to move on to the next bag. 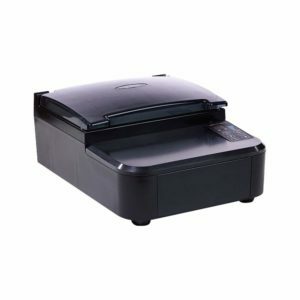 The VacMaster VP210 Chamber Vacuum Sealer is one of the best vacuum sealers to help seal liquids and liquid-rich foods. Other machines, known as suction machines, work by suctioning out all of the air from the bag and then sealing it. With the VacMaster VP210 Chamber Vacuum Sealer, the bag is placed into a chamber and air is removed from both inside the bag and inside the chamber to equalize the pressure and ensure that liquids stay inside the bag. Additionally, this sealer has a dry pump that requires little to no maintenance so you can seal bags without having to worry about the durability of the sealer. The VacMaster VP210 Chamber Vacuum Sealer also double seals each and every bag to help keep food fresher for longer and allows the user to customize the vacuum and sealing methods to accommodate different types of foods. 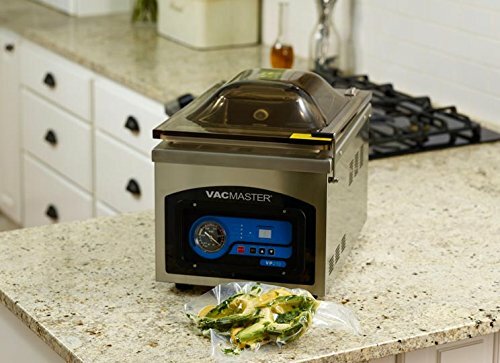 The VacMaster VP112 Chamber Vacuum Sealer is the perfect sealer on the market for anyone who is looking to seal liquids such as soups, stews, and marinades. The VacMaster VP112 Chamber Vacuum Sealer provides an airtight seal that allows food to last up to five times longer than if it were stored regularly. The VacMaster VP112 Chamber Vacuum Sealer has the ability to accommodate a large variety of bag sizes and features a see-through lid, a built-in cooling fan that prevents overheating and a fast cycle time to allow you to get more done in a shorter amount of time. The VacMaster VP115 Chamber Vacuum Sealer helps provide you with fresher food that can last up to five times longer. The sealer is built with a stainless steel body for durability purposes and is meant to be programmed manually. The VacMaster VP115 Chamber Vacuum Sealer is user-friendly and allows simple changes to be made to vacuum and sealing times. Each bag is also double sealed so you will never have to worry about a bad seal again. The VacMaster DUO550 Suction and Chamber Vacuum Sealer is one of the few sealers on the market that provides both a suction vacuum sealer and a chamber vacuum sealer. With this sealer, you get the flexibility of the suction vacuum sealer for longer bags that don’t fit inside the chamber. 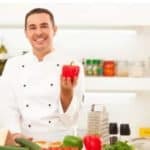 Additionally, you get the professional appeal of a chamber sealer that provides you with a better, more airtight seal and allows for food to stay fresh longer. Choosing the best chamber vacuum sealer can be a difficult task if you have never looked for a vacuum sealer before. The following are four considerations you should keep in mind when purchasing a commercial vacuum sealer. When buying a vacuum sealer, it’s important to think about whether or not you would like it to be portable. Some models are bigger and bulkier than others and often times, the more portable models don’t work as well as the bigger, more permanent models. Chamber vacuum sealers are about the size of a small dishwasher, so while they are not extremely portable, they allow you to seal liquids or solids and also delicate foods without crushing them. As a general rule of thumb, the less portable the sealer is, the better chance you have of having less problems while using it. It’s important to make sure that you are purchasing a vacuum sealer that has a high enough vacuum strength in order to accomplish what you need doing. There’s no point in purchasing a sealer if it doesn’t meet your needs. More often than not, cheaper machines do not have the necessary strength to seal foods properly. You should look for a machine with a 28hg rating, which will ensure all of your food is properly sealed. While these features may not seem like a big deal, they can help ease the process of vacuum sealing and help provide a better seal on your food. Deciding which commercial vacuum sealer to purchase can be a big decision. There’s a number of different features to consider when purchasing one and it can often be overwhelming. Luckily, the five products featured above are the best of the best when it comes to commercial vacuum sealers, so look no further than this guide to help you make up your mind. Whether you’re looking for a 2-in-1 sealer with both a suction sealer and a chamber sealer, or you’re looking for a more portable model, the products listed above will help meet any of your needs and provide you with the optimal commercial vacuum sealer.